MANILA - A Filipino suspect in a thwarted jihadist plot targetting New York City had boasted that his country was "a breeding ground for terrorists", the US Justice Department said Saturday. Russell Salic and two others have been charged with involvement in the plan to carry out the attacks in the name of the Islamic State group during the Muslim holy month of Ramadan in 2016. A statement released by the US embassy in Manila said Salic, 37, transferred money to the other suspects for the operation, saying he could safely do this from the Philippines without attracting attention. 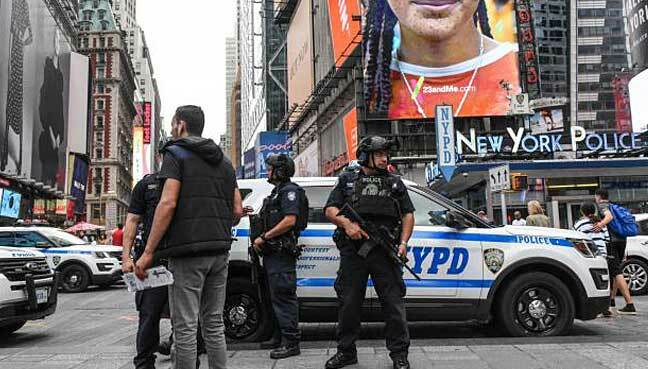 Multiple locations including New York's subway, Times Square and some concert venues were identified as targets in the plot that was foiled by an undercover FBI agent, US authorities announced Friday. The agent posed as an IS supporter and communicated with Salic and his two alleged accomplices Abdulrahman El Bahnasawy, a 19-year-old Canadian who purchased bombmaking materials, and Talha Haroon, a 19-year-old American citizen living in Pakistan. El Bahnasawy told the undercover FBI agent that Salic was a trusted IS supporter who had provided funding to help the group on prior occasions, according to the Justice Department. The statement quoted messages sent by Salic to others involved in the plot in which he described terror laws in the Philippines as "not strict" in comparison to countries such as Australia and the UK. "Terrorists from all over the world usually come here as a breeding ground for terrorists... hahahaha... But no worry here in Philippines. They dont care bout IS... Only in west," he added. Salic was arrested in the Philippines around April 2017, the statement said. It added that El Bahnasawy, who authorities say has pled guilty to "terrorism charges", was arrested in New Jersey in May 2016 and Haroon was arrested in Pakistan around September 2016. The extradition of Haroon and Salic to the US is pending, according to prosecutors. Philippine officials could not be contacted for comment. US authorities said Friday that Salic had sent "approximately $423" to fund the attacks and had promised to send more. The largely-Roman Catholic Philippines has been struggling for years with armed insurgencies arising from the Muslim minority in the country's restive south. Various Muslim militant groups have publicly pledged allegiance to IS in the past. Armed militants flying the black IS flag have been besieging the southern city of Marawi since May, leaving at least 955 people dead. The fighting, which is still raging despite the Philippine military using artillery, airstrikes and US military assistance, has left the once-thriving city in ruins with thousands of civilians displaced. A Filipino suspect in a thwarted jihadist plot targetting New York City had boasted that his country was "a breeding ground for terrorists", the US Justice Department said Saturday.